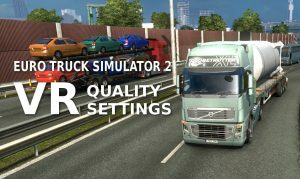 Beta support for Oculus Rift and HTC Vive has been available in Euro Truck Simulator 2 for some time. Unfortunately, the beta default quality settings leave something to be desired. With the default settings, the image appears ‘jagged’. The image in the far distance seems often to be a jumble of pixels. I’ve been experimenting with ETS2 quality settings on the Vive. I think I’ve achieved some significant improvement. If you’ve been struggling with the VR quality settings, hopefully I can help you out here. This article looks at the most useful settings to change to improve visual quality. Euro Truck Simulator 2 VR Quality Settings Config File. 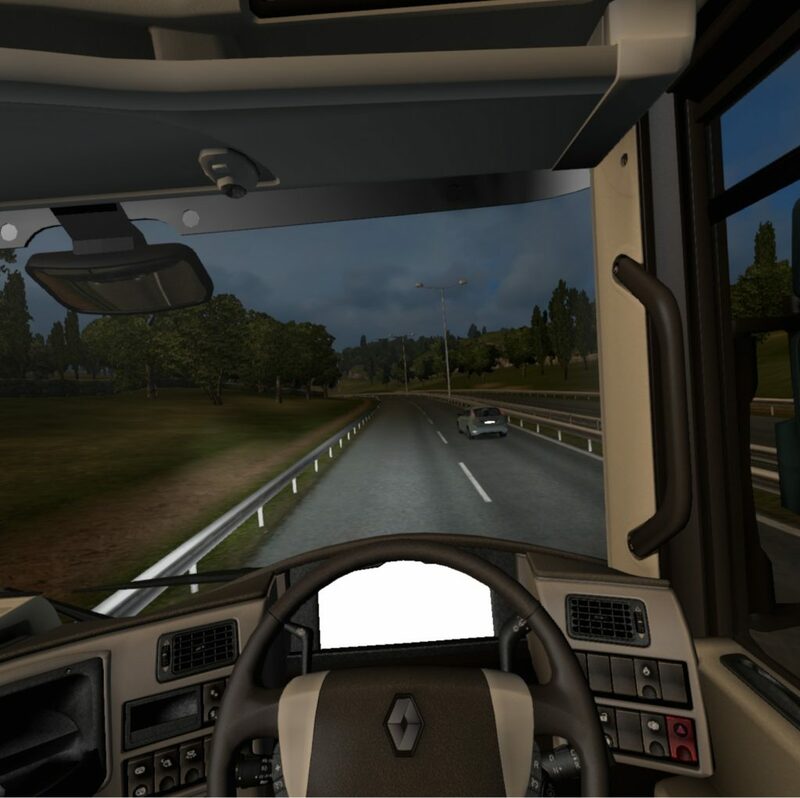 ETS2 has some VR specific config options contained within a config file. You should find config.cfg at My Documents\Euro Truck Simulator 2. First of all, make a backup of this file. These are really about VR performance consistency. You can experiment with them. Switch either to “1” or both to “0” but not both to “1” and see what works (or feels) best. This matches up to the HMD’s native resolution. Also, make sure MSAA is off. It’s unhelpful for VR in ETS2. Now, the real game-changer (pardon the pun) is r_manual_stereo_buffer_scale. This setting can be used to increase the size of the rendered image. The rendered image is then distorted for VR. 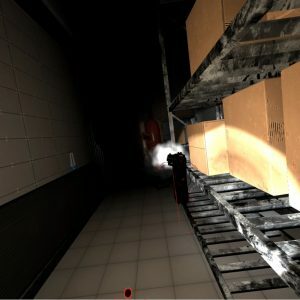 It appears the better the quality of the initial image, the better the quality of the VR image. Especially in the far distance. There’s a trade-off though, the higher you set this, the greater the peformance penalty for your GPU. I found using a GTX 970 that a setting of “1.3” was smooth and looked better. A setting of “1.5” or more made for a very much improved scene. However, at “1.5”, there was judder depending on the scene complexity. …and work up from there. This setting gave the single biggest improvement in visual quality for me. The higher the performance your graphics card provides, the higher you can go with this setting. Go too high and you’ll see and feel the framerate dropping off. You can recover some FPS by reducing the video quality settings in the game menu. Be sure to leave ‘scaling’ at 100% and MSAA off. Most of the other settings yield a little performance improvement. With current Virtual Reality systems being more about the ‘feel’ than the overall look, you can do without some of the bells and whistles. The unedited, unstretched screenshot. The instrument cluster didn’t render for the screenshot but with readable in the HMD in-game. Due to the way screenshots work in VR, it’s not possible to directly convey how much improvement you can get. You need to try the settings for yourself and make up your own mind what works best. Certainly, getting rid of the jagged edges in the far distance makes a big difference. 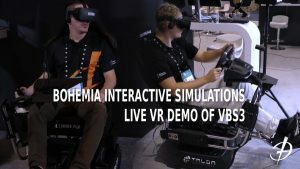 This takes the simulator from playable to enjoyable with VR in my opinion. If you find settings that work well for you, consider posting them in the comments section below. excellent. exactly what i was looking for. bookmarked! Exactly what I was looking for. Thanks for sharing. No worries. Hope it improved the experience for you! This made a night and day difference for me. I was considering ditching VR for this game because I felt like I could barely see the scenery. You rock! I’m not sure why the settings are so low to start with but there’s lots of scope to get it looking good! set to 1 for my htc vive. the white flickering lines on the road dissapears then.